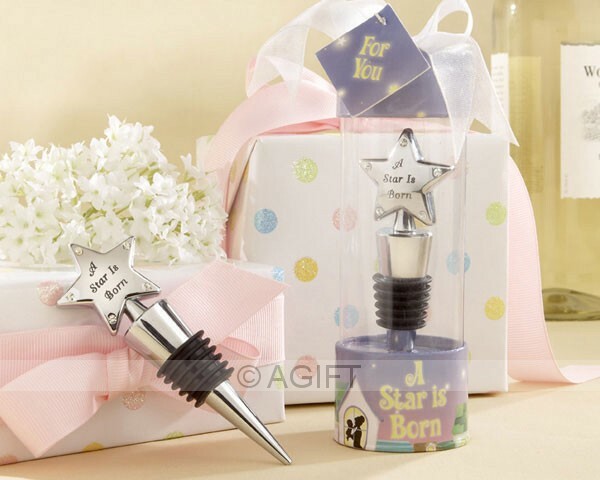 Announce to the world "A Star Is Born" with this sleek chrome bottle stopper. 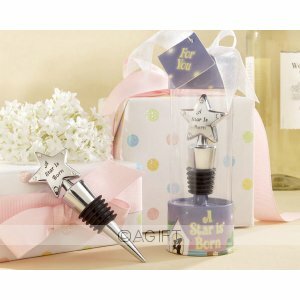 Your guests will love this elegant and very practical baby shower or christening celebration gift. Engraved with the phrase "A Star is Born," the colorful gift box is decorated with nighttime details of shimmering moon and stars, and a charming silhouette of mummy and baby. Measures approximately 11.5cm long and arrives in a clear showcase display box, including the inscription "A Star Is Born" and tied with sheer white organza bow.